New Acropolis Museum first exhibit opens! The doors of the long awaited new Acropolis Museum, located at the base of the Acropolis in the Makrigianni neighborhood of Athens, opened today! Currently only the first floor of the museum, with an exhibition entitled “The Museum and the Excavation” will be accessible to visitors. A short video presentation is online which highlights the construction of the museum as well as the early stages of transferring artifacts to their new home. In an historical city like Athens, new construction often brings to light archeological finds. In the case of the Acropolis Museum, builders unearthed a neighborhood which thrived from the fifth to twelfth centuries, at the foot of the Acropolis. The exhibit chronicles the excavation and artifacts from this ancient neighborhood in the Makrigianni area of downtown Athens and is open to the public every day between 10.00 and 12.00 daily. The exhibition is located at the ground floor of the Weiler Building, 2-4 Makriyianni Street, next to the site of the New Acropolis Museum. The museum is easily reached by foot or by metro (Acropolis station). 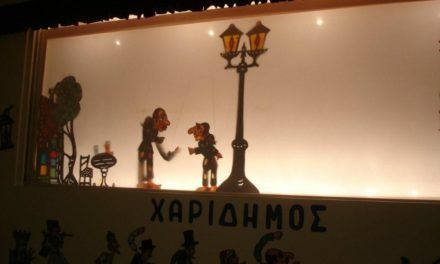 PreviousWhat to do for Christmas in Athens? Experience Dalaras. Thanks again for the tip. Last Christmas we spent 2 weeks in an apartment just up the road and it looks a great building. We’ll probably try and get in to see the exhibition before we return to the UK on Saturday. We’re just back from the new exhibition which is small but great! It’s designed for children which means the exhibits are grouped in themes – the lives of women, the lives of men, the lives of children – which really brings them to life. There are also clear, simple explanations in English and in Greek. The building is spectacular and from the ground floor you can look at the excavations below. Really worth a visit, and it’s free. One note of caution it is only currently open 10 – 12. Carole, thanks once again for putting us onto this. We would have missed it otherwise.